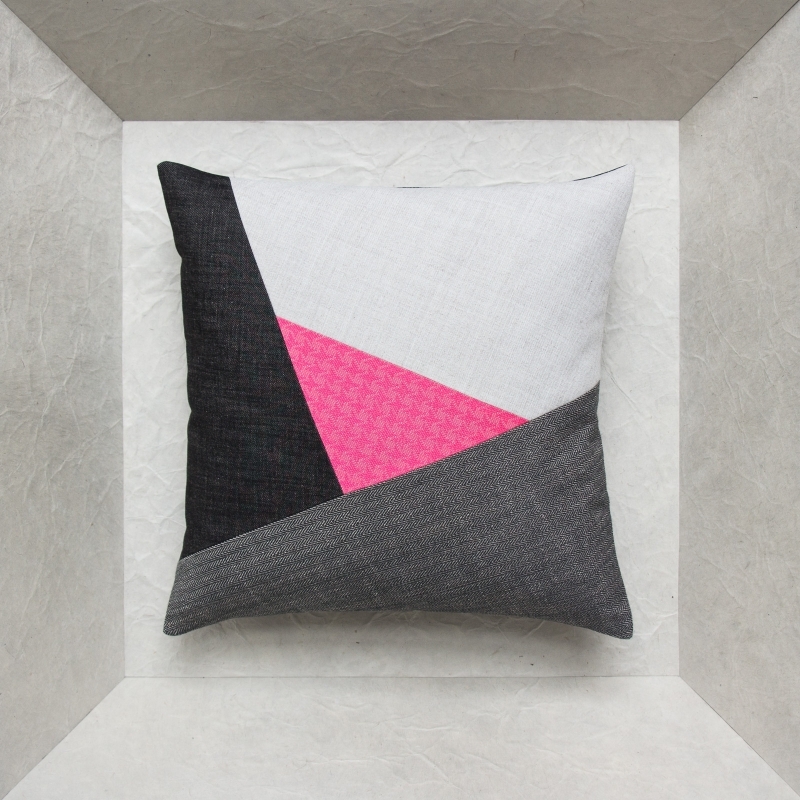 The pink houndstooth eye emerges from surrounding shades of grey to give this design cushion a distinctively fresh, modern look that fits in with all decors and contemporary interiors. 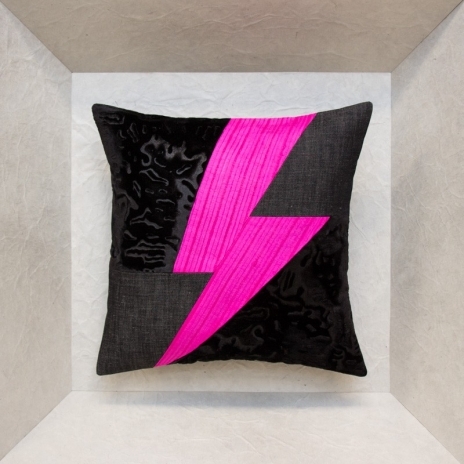 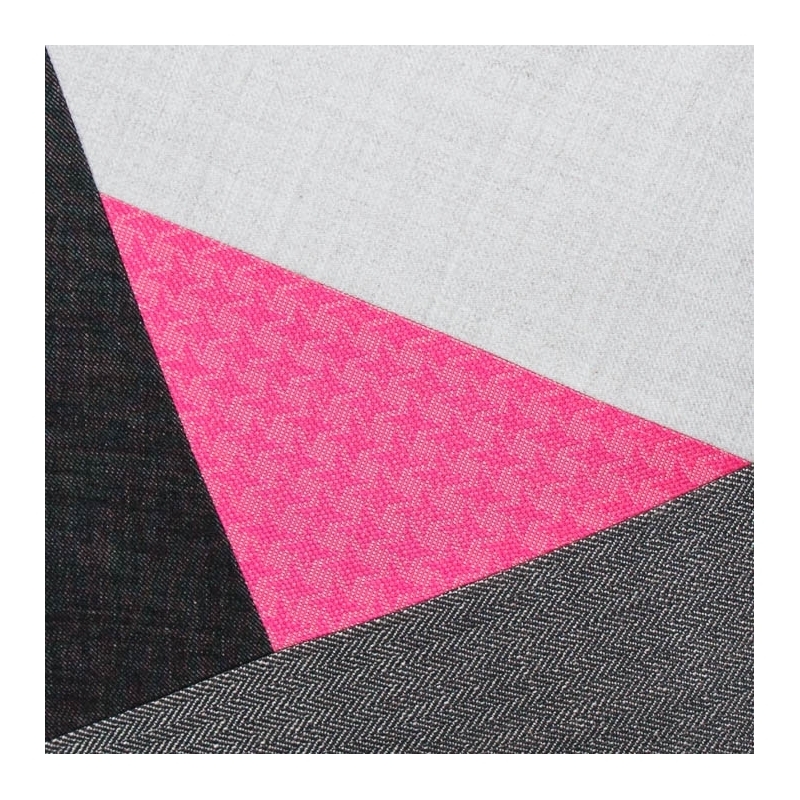 The front of the cushion is a harmonious assembly of fabrics: grey linen and cotton herringbone patterned cloth, slightly heathered raw wool fabric and bright pink vintage houndstooth patterned wool. 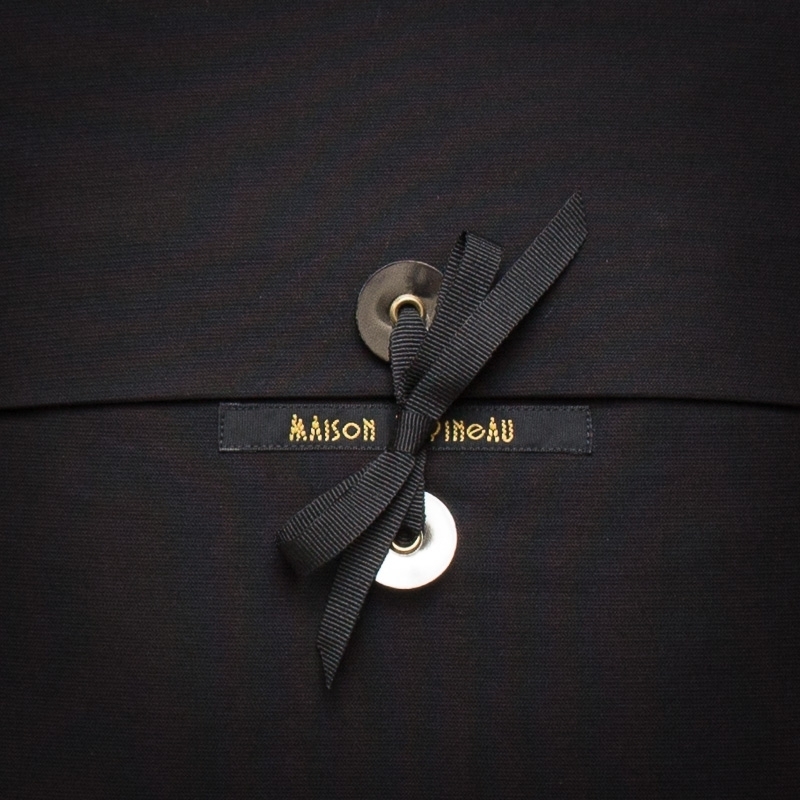 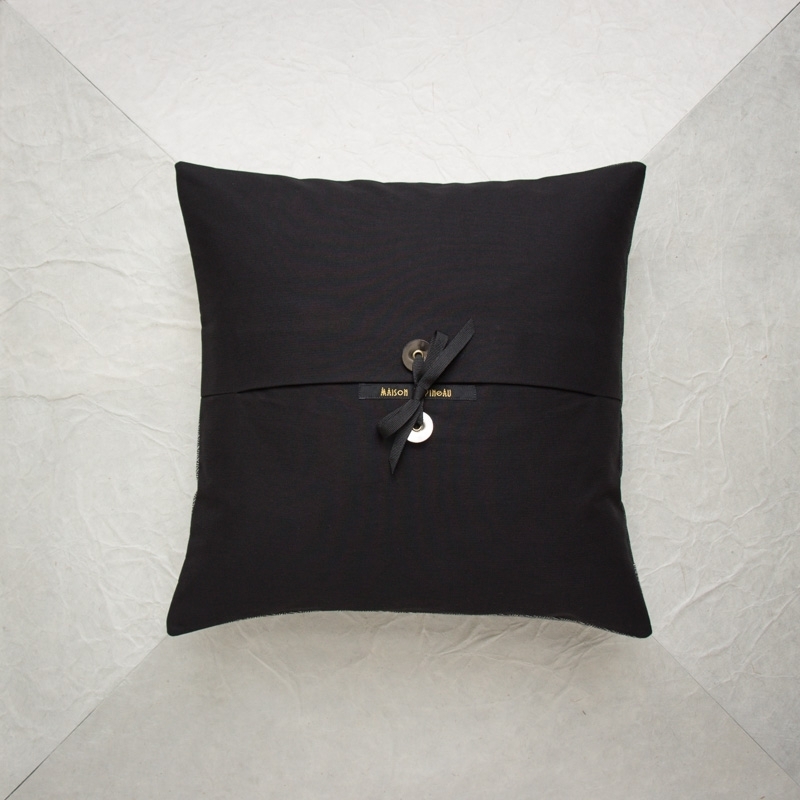 Black cotton fabric on the back and the Maison Popineau signature: two silver coated leather tabs with metallic grommets and black grosgrain ribbon.